Become a locavore this week as you explore Louisville’s chic down-home cuisine. 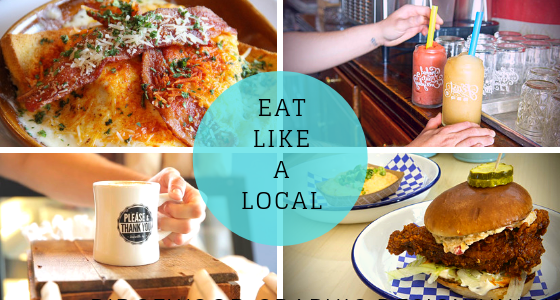 The phrase, “eat local” weighs heavily in Louisville as there are many family-owned resturants, coffee shops, and watering holes to grab a delicious bite to eat. 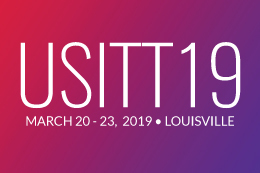 Don’t forget to tag these locally-loved spots in your Instagram pics and hashtag #USITT19 so other attendees can see all the cool places you’ve explored! Boost your energy before a full day of Conference by grabbing a cup of joe at one of these coffee spots. All a short distance from the KICC (Kentucky International Convention Center), you’ll be able to fuel up and get to your first session on time. Running late? Stop by your hotel coffee outlet so you can simply grab and go. A big thank you to our local friends at Louisville Tourism for these awesome suggestions! For more suggestions, read USITT’s list of restaurants to hit up while you’re in town. Houston, We’re Having a Conference!